René Badenhorst is a freelance-journalist with a desire to spread hope and inspiration. 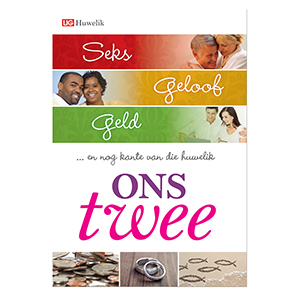 She has been writing for a Christian family magazine for the past 11 years and is also the founder of Heaveninmyhome.com She loves living in Cape Town, South Africa, with her husband, David, and their two lively children. She has widespread interests, but especially has a passion for God-centered marriages, parenting and encouraging an intimate relationship with Christ. So, the time has come. Your parents can’t take care of themselves anymore. The search is on to find a suitable place for them to live. Making this life-changing decision can put high demands on the elderly person and the children. But, if everyone involved takes hands, it can be done with less stress. Getting older, and the physical deterioration that is part of the natural process, is not something people like to talk about. Least of all moving to an old-aged home. It is thus advisable to discuss this subject before it becomes a crisis. All the different possibilities should be considered in a rational way so that an informed decision can be made. When an elderly person moves to a care centre, he/she, the closest family and the care centre each plays an important role. It is very important that each one does his part to ensure that the elderly person is cared for in a humane way and still enjoys a good life quality. When should alternative care seriously be considered? The elderly person is lonely, distraught and starts to withdraw. He can’t take care of himself properly, has an unbalanced eating pattern and forgets to take medication. He can’t handle the responsibilities of a household anymore. He lives alone in an unsafe neighbourhood. Forgetfulness becomes a danger. Taps are left open and electrical appliances are left on. If the elderly person lives with his children, there are additional problems – and that can cause tension. If an extra living unit can’t be built and he has to live in a room in the house, space can become a problem. The family’s privacy is limited and there are extra costs. A parent who interferes with the children’s marriage or with the grandchildren’s upbringing can cause tension in relationships. Elderly often finds it difficult to adjust to small children or teenagers’ way of living. If one or more people in the household can’t take care of the elderly person, a caretaker has to be hired. That causes the presence of another outsider in the house. Sonja also suggests that the whole family – or everyone who carries responsibility for the elderly person – has an open conversation about the cost implications of the new living arrangements. Issues such as what expenses will be covered by the elderly person’s pension and how the shortage will be covered by the family, are the most important to discuss. Take into account that living costs rises every year, and that it could possibly be higher than the elderly person’s pension. If the residence becomes unaffordable a few years later, cheaper options should be considered. A second move would, once again, ask new adjustments. Also keep in mind that the quoted living costs does not always include necessities like toiletries. Make sure you budget for this. Regular visits and outings are very important for the elderly person’s healthy adjustment. He should feel that his children feels at home at his new “home” – and the he is still welcome to visit their home. The older one gets, the harder it is to adjust to new circumstances. It can take up to six months or even longer before the elderly person starts to feel at home. Family members must be sensitive to the multiple adjustments the elderly person has to make in a short time. At the new home everything will be new. A new routine, new friends and more people. The senior has to get used to set times when things happen. If he gets taken in the frail care unit, he is suddenly dependent on nursing staff who are initially total strangers. Try to make the new place as homely yet functional as possible. Don’t squeeze too many things into the room. It can obstruct the care. Make sure, especially in the frail care unit, that there are personal items in the room: photo’s, a painting, a favourite chair and own bedding. Moving homes also involves farewells. One has to part from old friends who always provided a support system, pets that were like children and gardens that were cherished with great care. Sometimes the elderly person has to move to a different province to live closer to the children – which causes adjustments to a new climate. For many people the hardest parting to do is to give away belongings that were collected over many years. Everything that doesn’t fit into the new (usually smaller) home, has to find a new owner. Old age shouldn’t be seen as a problem. The challenge is to reconcile quantity – years of life – with quality. The fact that one gets physically weaker and becomes dependent on others’ care, doesn’t mean you can’t have a quality life anymore. Share your skills and life experience and help to make the care centre a home for everybody. Discover and enjoy the new way of living! Be tolerant with the other residents and staff. Remember: Where you live with a loving attitude, you will feel at home. Join the activities that are presented and it will be easier to become part of the group. Reach out to the other residents. Don’t withdraw yourself from others! Don’t sit and wait for others to do everything for you. Especially not if you still have the physical and mental strength. This article was originally published in Afrikaans in the May 2011-edition of LiG-magazine (www.lig.co.za). Published with permission. © Copyright reserved.